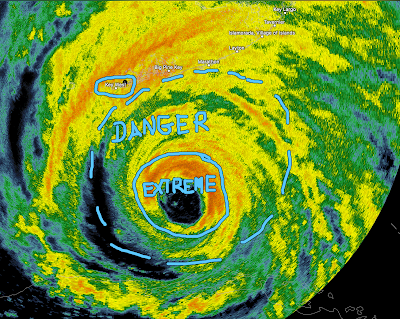 The highest winds are about 6-7 hours from Key West (circled) and the rest of the Keys. 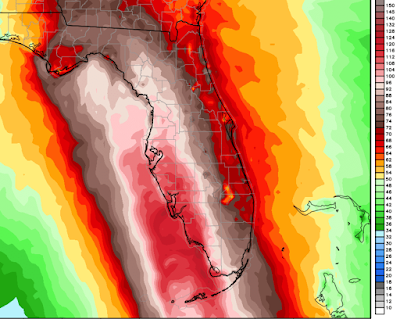 If you have decided to stay in the Keys (I hope you didn't) please hunker down immediately! The "danger" area is consistent gusts of about 80 mph (a person cannot stand in winds of that speed) with much stronger gusts and extreme is where the sustained winds are above 100 mph. Storm tides are already about +1 feet in the Keys. They will rise the rest of the night. The latest Hurricane Hunter report measured sustained winds of 130 mph near the eye (with stronger gusts) which is consistent with Doppler radar measurements. Close all of the doors in your home or apartment. Shelter in the interior of your dwelling. For example, a bath or closet. 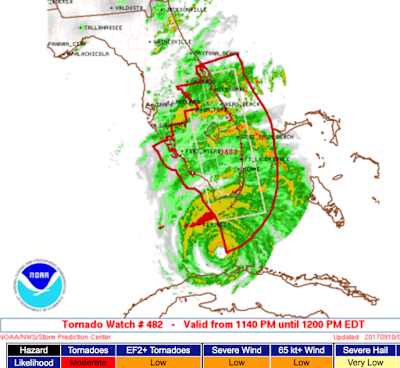 Unlike in a tornado, do not go to the lowest floor because of the severe threat posed by the storm surge. Stay at least on the second floor. Map of forecast wind field in knots. 100 knots = 115 mph. 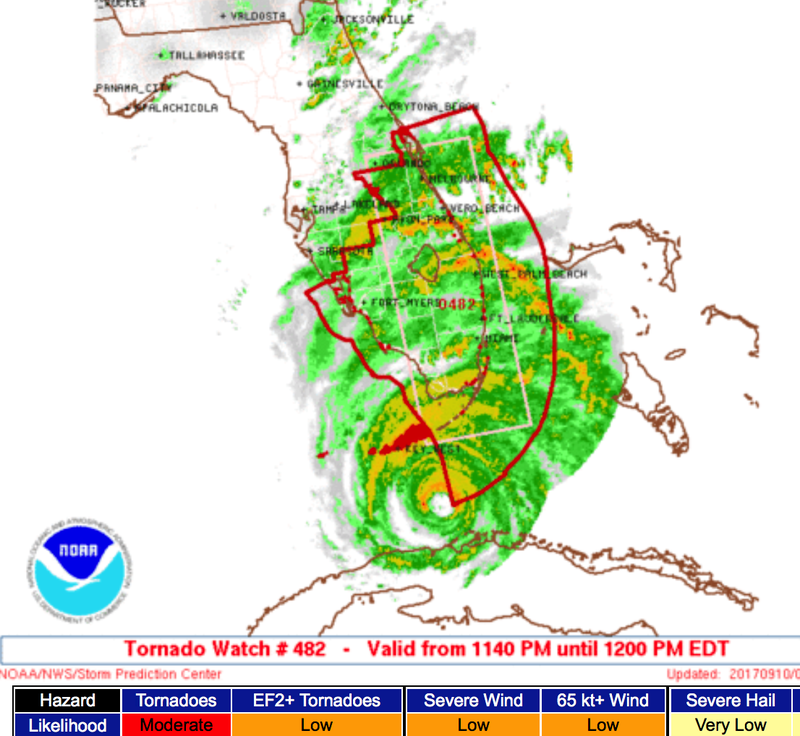 Speaking of tornadoes, a tornado watch continues until noon Eastern time. For now, if you are on the Florida Peninsula and a tornado warning is issued, shelter on the lowest floor. That advice will be invalid as the storm surge advances. For my complete coverage, please follow me @usweatherexpert .